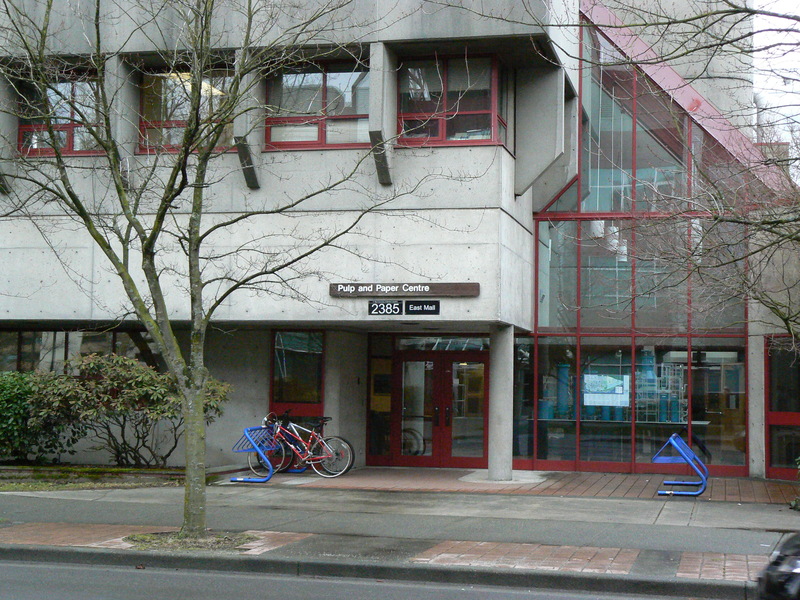 The Engineering Co-op Office is located on the first floor of the Pulp and Paper Centre at UBC. Mechanical Engineering students have the option of completing relevant, technical, paid co-op work terms as part of their degree. At the Engineering Co-op Office, students will receive dedicated support from Co-op Coordinators and staff to ensure that they find success in the work force. There office includes multiple interview and conference rooms that employers reserve to conduct on-campus interviews. Once accepted into co-op, students looking for support in interview preparation, or resume and cover letter review, are always welcome to drop in to the reception, or book an appointment with a Co-op Coordinator. The office is open from 8:30am – 4:30pm, Monday to Friday and has extended hours until 6:30pm on Wednesdays. For access to information about Engineering Co-op, recruitment dates, a list of Co-op Coordinators and other resources, please visit UBC Engineering Co-op.